This very modern villa comes with contemporary furnishings and is great for a family with young children or two couples. It comes with views of the ocean and has partial air-conditioning in the bedrooms and living room for your comfort during the warmer part of the day. There are plenty of modern amenities to keep the vacation simple, including a blender, outside barbeque, and internet access. This place also works well for honeymooners, as it is only a short, two-minute walk to Flamands beach. The pool at the villa offers on-site entertainment, and is perfect for relaxing after a long day of island sightseeing. Great for couples or a family! Les Embruns is a contemporary 2-bedroom, 2-bath villa just two minutes’ walk from Flamands beach. Enjoy the ocean view from all the rooms, thanks to large doors also serving as windows. The air-conditioned Great Room includes living and dining rooms, both with views onto the sunny deck with pool, the ocean in front, and Flamands beach on the side. There is also a kitchen and TV area. The master bedroom is furnished with a four-poster large king-size bed, mosquito net, and safe. En-suite bathroom with shower, 2 wash basins, hairdryer, bathrobes, towels and beach towels. The bathroom adjoins the living area so that it can also be used as a powder room. The second bedroom with Flamands beach view is furnished with 2 twin beds (can be prepared as a king-size bed upon request), air-conditioning, mosquito net, and safe. En-suite bathroom with shower, 2 wash basins, hairdryer, bathrobes, towels and beach towels. The villa is not being rented May - October 2018 due to a construction project next door. The villa is located in a wonderful, secluded area off Flamands Beach. It’s a short walk from the beach, but private. It’s also well-equipped if you want to cook. Shawna handles everything you desire - booking, reservations, any concierge service. She will suggest ideas/options if you want someone who knows the island extremely well. I highly recommend using Shawna for all your needs. Beautiful design, fully equipped villa near Flamands beach. Each bedroom has an ensuite bath so two couples can enjoy very easily. Lovely layout and very private. Shawna is extremely helpful and full of knowledge and recommendations to help make your experience on St Barths personal to your desires for a vacation! Eighteen unforgettable nights at Les Embruns!! The location just 3 minutes walk from the beach, very comfortable bedroom with a king bed, bathroom with amenities, large kitchen with everything you need and more, pleasant living room and dining room…the outdoor deck has several places to enjoy (2 dining tables, sofas and lounge chairs) all with sea views over beach Flamands. Wow! We enjoyed the outdoor pool and hot tub under the stars of St Barth. And everything was possible thanks to the excellent work of Shawna. We recommend WheretoStay, Shawna, staff meet & greet at the airport, daily maid service (Maggie), Les Embruns owner (Monsieur Jacques). We will return very soon! Thanks for being part of our dream vacation!!!! In my view, Les Embruns is one of the most magical spots on St. Barts. We have stayed at the villa three different summers and have had a wonderful experience each time! The views of Flamands, the ocean, and nearby islands are amazing, and the villa is very well-maintained and updated. Over the years, we have also gotten to know the owners and housekeepers who maintain the villa, and they are wonderful people! We would highly recommend Les Embruns - 5 stars! 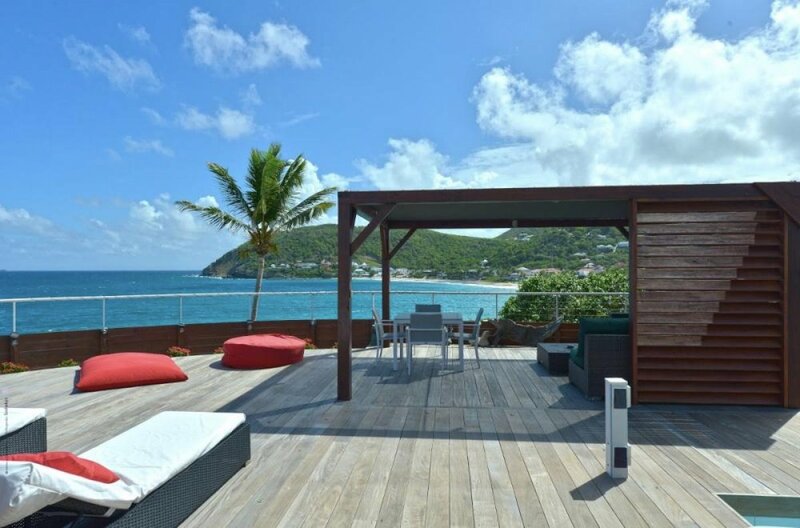 I’ve worked with Shawna at WhereToStay the last two years on booking a villa in St. Barts. She is very responsive and knowledgeable and certainly helped to make our trip a success! The villa was beautifully decorated, convenient to beach and had all amenities one would desire to stay in St. Barth’s. Everything was clean and modern. The Internet wasn’t working so if you need it while you’re there this would be an issue. Shawna handled everything for us - worked to help with rental price and asked to help with reservations/appointments while in St Barths. Very professional and accommodating.